An Acrylic bezel for your LCD. This is laser cut from .118" acrylic. Faceplate comes with zinc colored screws by default. You can select black as an upgrade, the nuts will still be zinc colored with either option. Use this option if you have contacted me about custom changes to this item. I got tired of having all my projects show the rough edges of the cut when using 20x4 LCD's in projects, this solves that and also adds an easy way to mark out the cut needed on the box or control panel of your project. 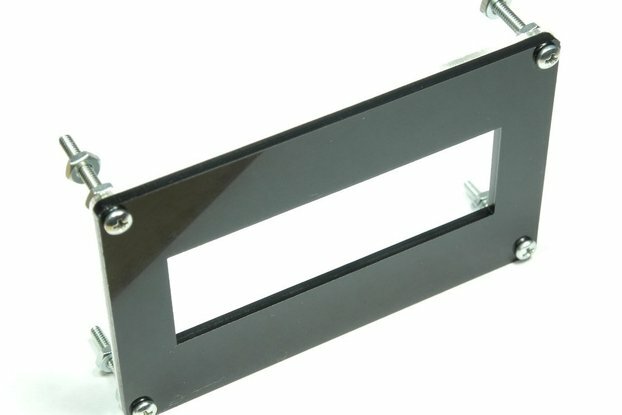 This is a black or white, acrylic bezel for your LCD. This is laser cut from .118" acrylic. Each piece of acrylic has 4 holes for 4-40 screws that fit into the LCD. 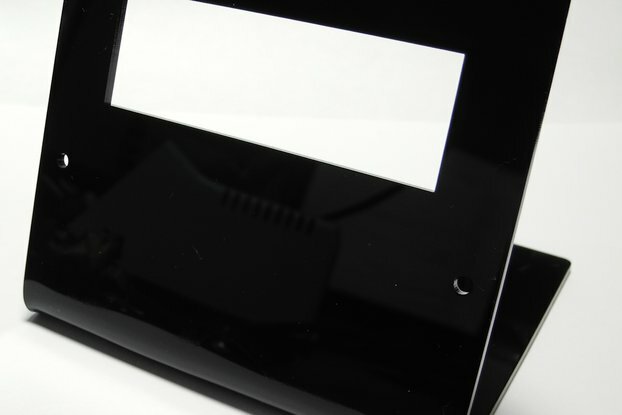 This faceplate will cover the face of the LCD and only let the glass portion show through. Includes 4 1" 4-40 screws and nuts. This is for the bezel only, no LCD is included. Proudly engineered and cut in the USA! Great product to finish off a DIY project. Been looking for a nice way to make my 20x4 LCD look good in the enclosure. This bezel is just the answer. It fits and looks GREAT and very easy to install. Thanks for making a great way to finish off my project. very glad that i've found this bezel at "Tindie's"
With this bezel, no problem with mounting the display. Tindie is one of the very few suppliers, maybe the only one. No problems with order and delivery.